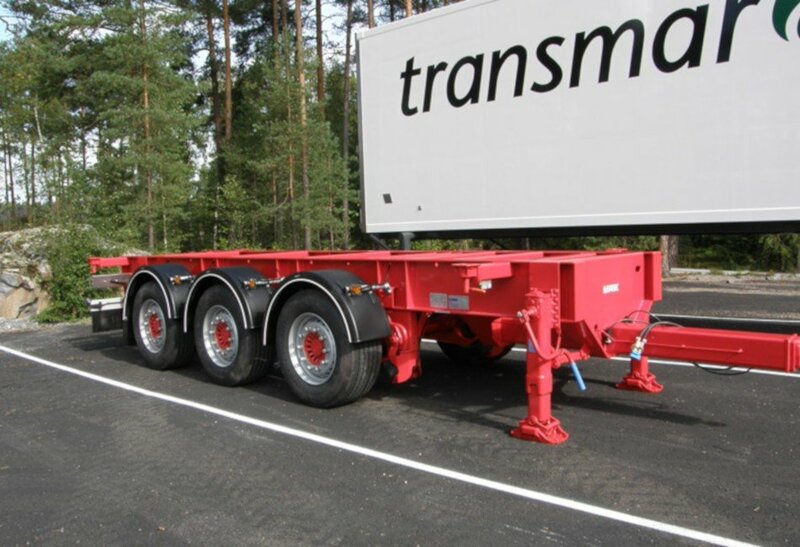 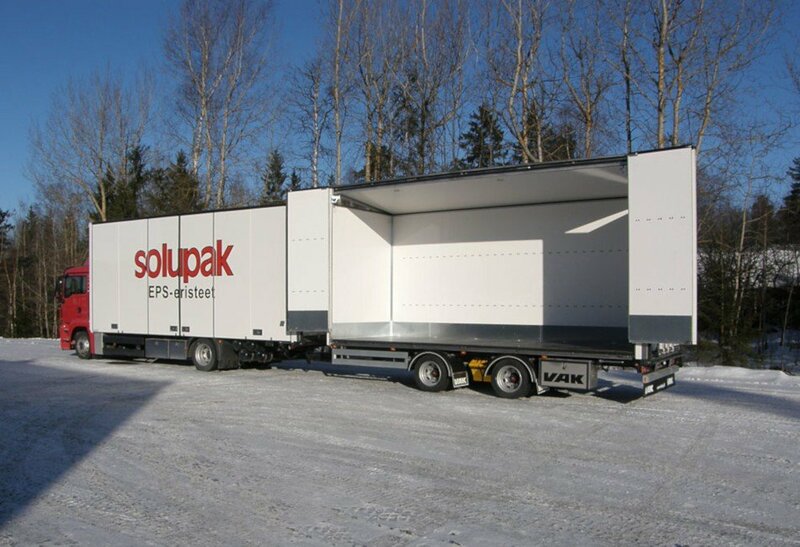 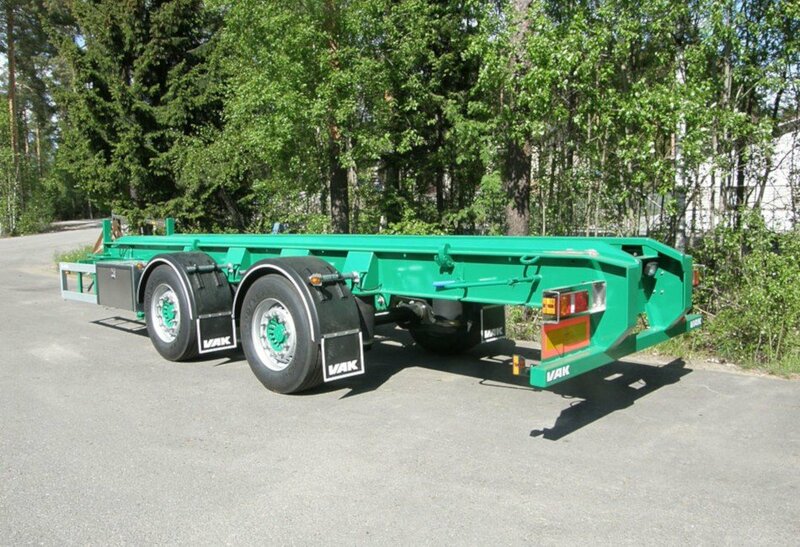 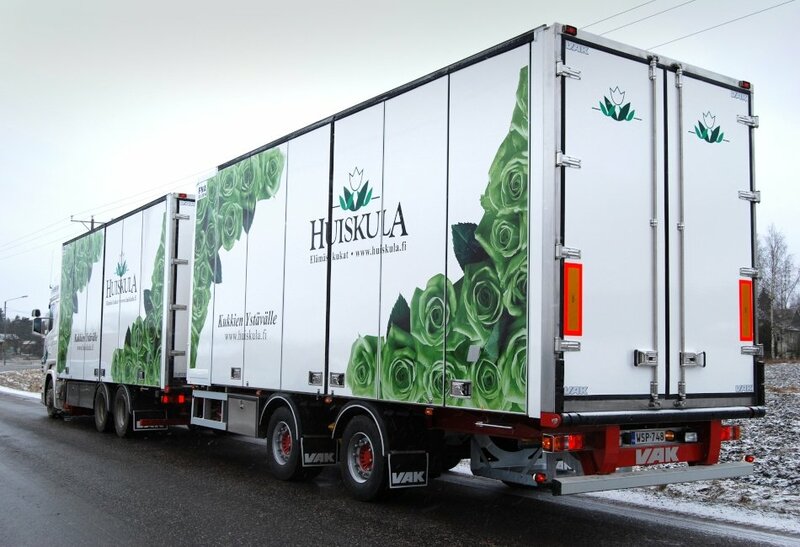 Mid-axle trailers are used in 25.25 m and 18.75 m module combinations. 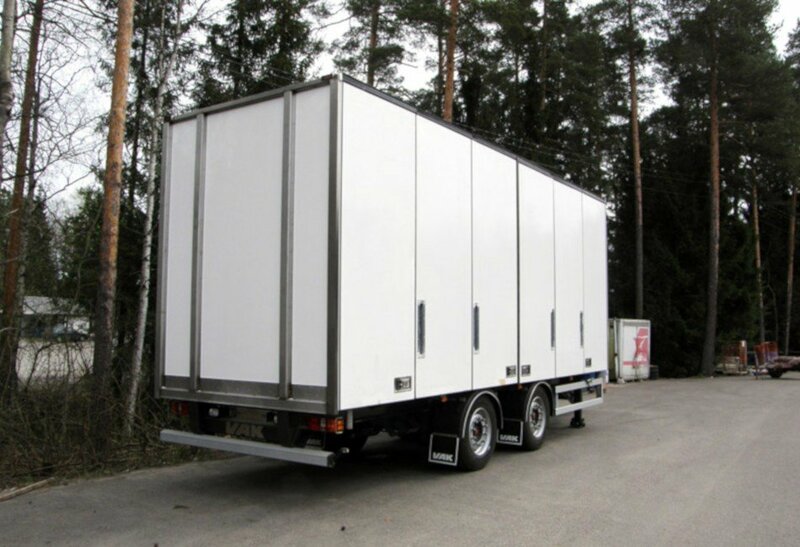 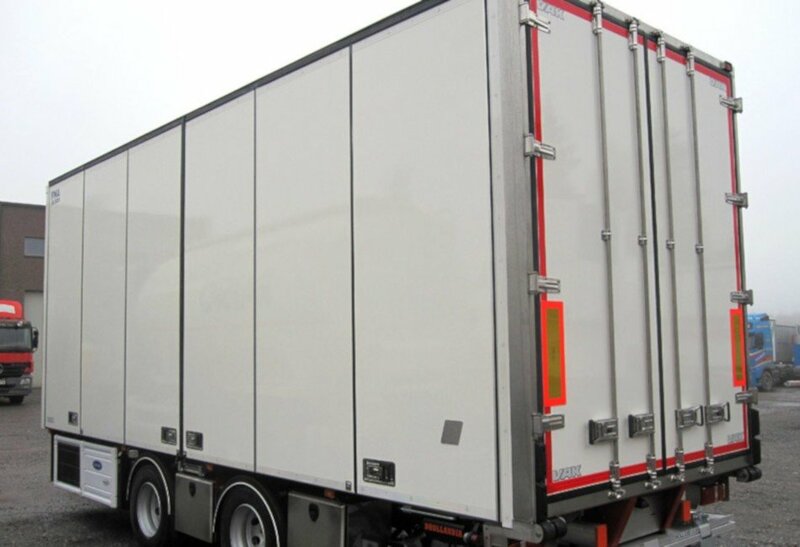 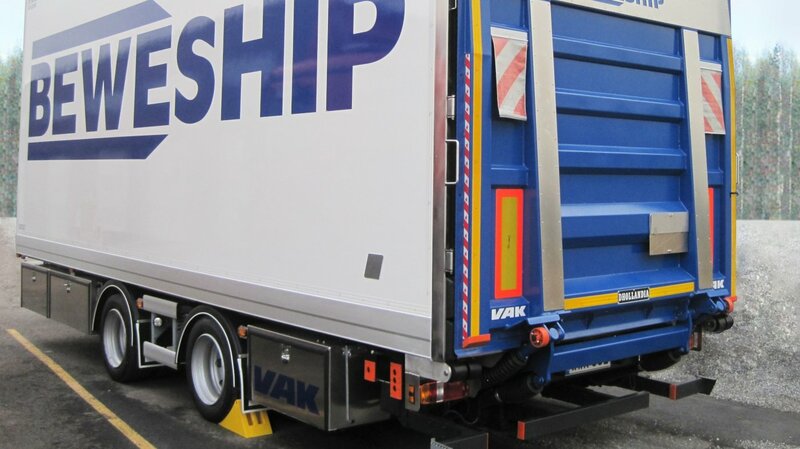 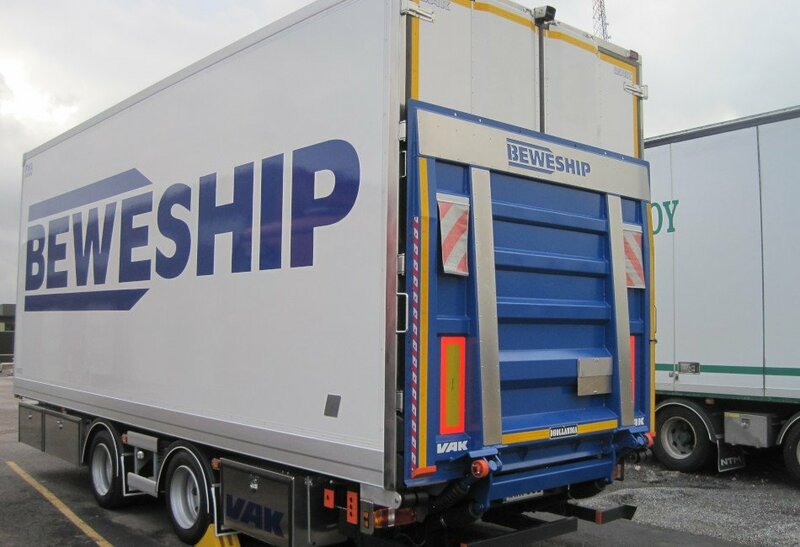 Trailers are manufactured and equipped according to customer specifications, also with front doors if required. 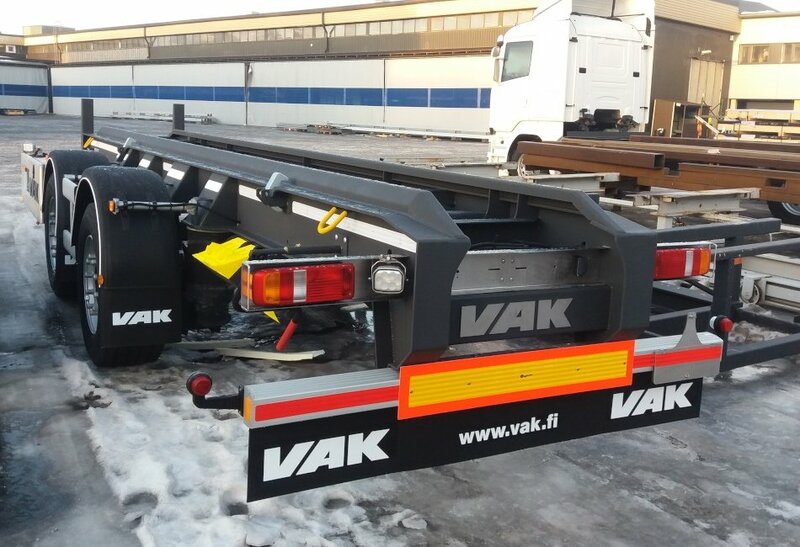 The trailer has a fixed, unarticulated drawbar which connects it to the drawing vehicle.